Many people I've spoken with bemoan the state of Hollywood and the poor entertainment choices out there. However there are a good number of films with subtle or even overt Christian themes that most haven't seen. So, if you're going to the video store or organizing your Netfilx queue, make sure that these are in there. 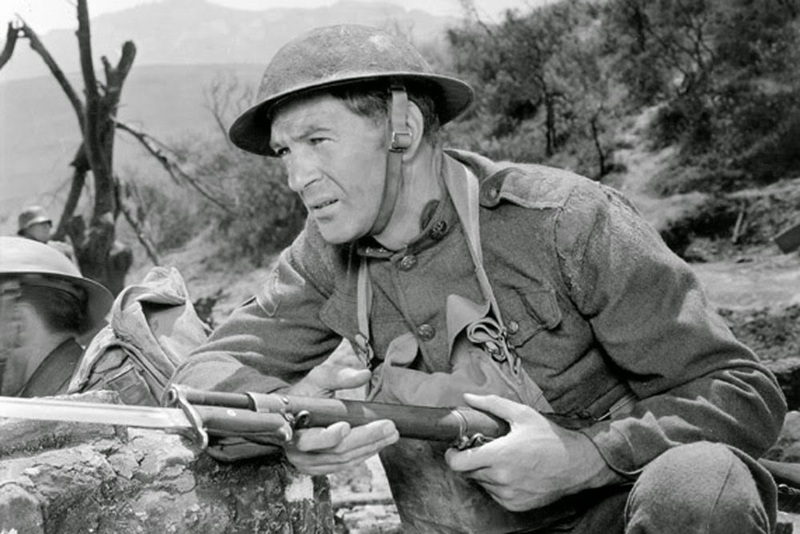 Gary Cooper won his first Oscar in this movie, based on the real-life exploits of Alvin York, a hard-drinking Tennessean who gets saved and is so radically changed he is torn between serving in WWI or being a contentious objector since the Bible commands "Thou Shalt Not Kill." Great story and a very powerful treatment of taking one's faith seriously in difficult situations. Even more amazing since York was awarded the Medal of Honor for leading an attack on a German machine gun nest, killing 20 German soldiers and capturing 132 others and did it nearly single-handed. Hardened Roman Marcellus Gallio (Richard Burton) oversees the crucifixion of Jesus Christ in Jerusalem. But problems arise when Marcellus wins Christ's robe in a dice game, played beneath the dying man. Haunted by guilt, Marcellus hopes that destroying the garment—now in the possession of his escaped slave (Victor Mature)—will cure his hallucinations. Fueled by disparate desires, long-distance runners Eric Liddell (Ian Charleson) and Harold Abrahams (Ben Cross) face off in a quest to bring Olympic glory to Great Britain. Liddell—a staunch Christian—seeks victory as a tribute to God, while Jewish student Abrahams views winning as a repudiation of anti-Semitism. An amazing study of personal conviction versus immediate opportunity – something with which we all struggle. Anthony Hopkins plays the great Christian Apologist C.S. Lewis in this true story of his meeting and eventual marriage to Joy Gresham. Lewis drew from this experience in his books The Problem of Pain and A Grief Observed. It also shows how life for the Christian isn't neat and tidy and that knowing theology is different from putting it into practice. Based on a true story (and adapted from the best-selling book by Catherine Wood), this drama centers on young Scotsman Peter Marshall who heeds his calling from God to be a minister. Marshall leaves Scotland and travels to America, where he lands the position of pastor of the Church of the presidents in Washington, D.C., on his way to becoming chaplain of the U.S. Senate. In 1634, Jesuit missionary Father Laforgue (Lothair Bluteau) arrives in the Canadian wilderness to convert the Huron and Algonquin Indians to Catholicism. This is probably the most historically accurate account of the attempts to convert the Native American peoples. It also puts to rest the myth of the "noble savage" that was developed in Europe. CAUTION: there are some difficult scenes in this R-rated movie, so watch it after the kids are in bed. Aimless ex-soldier Homer Smith (Sidney Poitier) is on his way to California when his car overheats in the desert. He stops to get some water at an isolated farm and soon finds himself building a chapel for the nuns who live there. The stern mother superior (Lilia Skala) is certain God has sent Smith for just that purpose, and all of Smith's words to the contrary fall on deaf ears. If you don't love the scene where Homer teaches the German nuns to sing black gospel, then you're not alive. Poitier won an Oscar for his performance. This epic movie follows the life of Martin Luther (Joseph Fiennes), author of the then-controversial 95 Theses and founding father of the Protestant church who, with the courage of his convictions, faced the wrath of the church in the 16th century, all in the name of religious freedom. Thinking about standing before the most powerful men in the world and denying them to their faces. "Here I stand, I can do no other." Christian history at its most profound. A guilty verdict means death—but the jury's not about to let that spoil their day. Twelve men must decide the fate of an 18-year-old boy accused of fatally stabbing his father. Only one (Henry Fonda) wants to take the time to coolly deliberate the case. Sidney Lumet (Network) made his directorial debut in this fiery drama that illuminates all the petty impediments on the path to justice. What a great study in the power of reason and persuasion when most are guided by the "easy facts". Every apologist can learn from this. Cop John Book (Harrison Ford) goes undercover in an Amish community to protect a boy who witnessed a murder. Once inside, the faux-Amish Block must adjust to major culture shock while cautiously romancing the child's mother (Kelly McGillis). A great thriller and a look at how people can be devoted to their faith and one another. Blood and guts violence give this one an R rating, so be forewarned.